Amb.N Parthasarathi is a veteran diplomat with more than three decades of service in the Indian Foreign service. 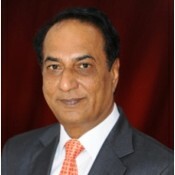 From September 2005 to September 2008, he served as Ambassador of India to the Republic of South Korea and from October 2008 to September 2011, he served as Ambassador of India to Senegal. 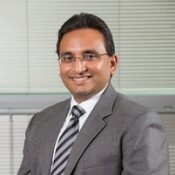 Dr. Prasad Kilaru has been on the board of Janyaa since 2014. Prasad comes from a family of professionals who had always placed an emphasis on education. “Knowledge is the one thing that nobody can take away from you and the one thing that you can take with you anywhere” was a constant saying when he was growing up. Having experienced the education system in the United States and also in India, the contrasting styles were quite obvious. The idea of making learning fun and interactive was what drew him to Janyaa. The passion and dedication of the founder, Venu and the rest of the team is what keeps him excited and involved. Dr. Kilaru went to medical school at Guntur Medical College, in Guntur, India. He subsequently trained at world-class institutions on both coasts in general surgery, plastic surgery, hand surgery and microsurgery. He was on Staff at the USC Plastic Surgery Division in Los Angeles, before moving to the Bay Area. He has been in the Bay area in Private practice for the past 14 years. Prasad has also completed MBA from the Wharton School of Business. In addition to being involved with several business ventures, he is on the Board of Non profit organizations both here and in India. 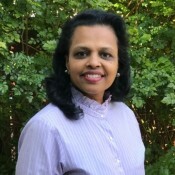 Usha has been working with Venu Nadella since 2009. She worked with Venu in establishing the organization and setting up the lab-in-a-box pilot program in 4 schools in 2009. Usha took over fundraising responsibility among others and organized our first fundraising Volleyball tournament in June 2009. Being a volleyball player herself, she drove the efforts and played a key role in bringing over 70 teams. Since then annual volleyball tournament has become a tradition for Janyaa. Apart from playing a key role in all fundraising events, she also worked with Venu in defining the processes for Janyaa, establishing partnerships and working on program execution. Without Usha, Janyaa wouldn’t be where it is. 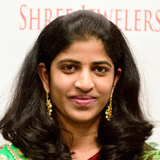 She holds a Masters Degree in Software Engineering from San Jose State University and under graduate degree in Computer Science and engineering from National Institute of Technology, Warangal, India. She currently works as a Platinum Engineer at SAP, Palo Alto. She loves to play basketball with her 6 year old son and read books whenever time permits. Venu Nadella has extensive experience in Software technologies working in Australia and also in USA. As a child growing up she had remarkable memory and achieved success in her academic field. However, she realized that the teaching methodology she had followed, only encouraged memorizing and hence students couldn’t relate and completely understand the math and science. She joined SAP Labs, Palo Alto in 2001. During this time, the thoughts of under-privileged children disinterested in science and math always bothered her. Her goal to do something to change the way children learn was the driving force behind her creating Janyaa. She founded Janyaa in 2009 and started working with a small team of colleagues. Her rooted belief is that by just teaching the concepts in a simple, practical and fun way so that children can relate to their daily life – a monumental shift can be achieved in learning. Her dedication and inspiration bought this very important teaching solution to primary focus. 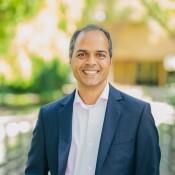 Murali is currently a guest lecturer at Stanford Business School sharing case-studies from his personal work experience to 2nd year MBA student on the adoption of disruptive technologies. 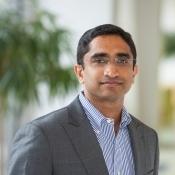 Most recently, Murali was CMO and SVP of Product at ActiveVideo. He was instrumental in positioning the company to gain broad market penetration for a disruptive cloud virtualization technology leading to an acquisition of the firm. Murali resides in Silicon Valley with his wife and two young girls. His support of Janyaa’s mission stems from the belief that to transform communities at large, innovation in STEM education must engage through hands-on experiments that reach the masses and not just the social elite. 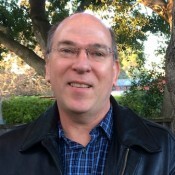 Dan Burns teaches physics at Los Gatos High School in the San Francisco Bay Area where he lives with his wife and two children. Dan is a Faculty Scholar at the Lawrence Livermore National Laboratory where he conducts teacher workshops and gives scientific talks for the general public highlighting lab research. Dan leads PTSOS, an organization providing support to new physics teachers. A video of one of the PTSOS workshops about gravity went viral on YouTube and now has over 26 million views. Dan has done workshops and developed curriculum for NASA, the USGS, the SETI Institute, the SCCOE, EnCorps, and NMSI. Dan was selected by NASA to be an Airborne Ambassador for Astronomy and flew into the stratosphere aboard NASA’s Sofia 747. Prior to becoming a teacher Dan was an aerospace engineer for Lockheed/Martin where he developed advanced space systems. Dan has a BS in aerospace engineering from the University of Illinois, a Physical Science teaching credential from San Jose State University, and a Master’s in Instructional Technology from the American College of Education. Poongodi worked as a Business Development Director at Kaar Technologies, an IT services company. She played an active roll in leading the Destination Imagination and Tech Challenge Teams. This helped reinforce her belief that children are innately curious, inquisitive and innovative, thus providing opportunity to learn arts, scientific concepts and principles helps them better understand and become keenly aware of the world around them, growing up to be conscious citizens. Shibu Ninan is a finance executive with over 20 years of experience in audit, advisory and leading finance organizations in technology, software and cloud sectors. Shibu holds a Bachelors of Commerce from Bangalore University, and is a qualified Certified Public Accountant and Chartered Accountant. 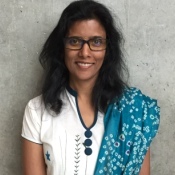 Shibu’s experience spans working in the United States, India and Germany. He currently works as Vice President, Chief Accounting Officer at Veritas Technologies.